VWVortex.com - 6th Gear WOT/Near-WOT Slipping/Sputtering? Thread: 6th Gear WOT/Near-WOT Slipping/Sputtering? Hi all. I'm hoping someone can enlighten me with an issue I'm experiencing. It is easily repeatable on the highway and only seems to occur in 6th gear at WOT or near-WOT. If it wasn't for the lack of a flashing CEL and the fact it doesn't feel as "aggressive", I'd suspect a misfire, but you can really hear the turbo sputtering and there are "bumps" in power when it happens, if that makes any sense - almost as if the turbo is cutting off for fractions of a second over and over until you let off the gas/decrease the aggressiveness of the acceleration. In any other gear, it pulls strong and smooth without issue. The issue is noticeable enough to where my wife (who is by no means a car person) can detect the sensation and inquire as to what's happening. I've tried searching for similar issues but I can't seem to pinpoint the answer, or even someone who describes this exact problem. I realize it's generally not advisable to floor it in 6th, but I'm talking speeds of 75+ and considerable RPM (3K+), so I don't suspect it should be different than flooring it in any other gear at safe/appropriate engine speeds. Could this be, in fact, a spark plug/coilpack issue, or more likely a turbo issue, given the description? I'd be happy to provide further details - not sure if I'm covering everything. Thanks to anyone who chimes in; maybe this post can help someone with the same issue. The car is a 2016 6-speed manual with an aftermarket Sachs clutch kit, running APR's Stage 1 high-torque tune (I believe) - if that's of any interest. Your aftermarket Sachs clutch is slipping. Last edited by emanteno; 02-10-2019 at 07:42 AM. This. What you described is exactly what my MK6 did in higher gears when the stock clutch finally started to go. Wow, I admit I'm a little surprised to hear this. I don't really ever launch the car, but if I want to move quickly from a stop, I never experience any issues. Like I said, it pulls just fine and the clutch seems to grab well in pretty much any gear except 6th WOT. Does anyone know if the car would log something like a slipping clutch in its error code/faults database? You should never go WOT in 6th. You ruined it. What is TQ limit for the clutch? Was it just a drop in? It usually starts in higher gears like 5/6. Going WOT in 6th gear (edit: at low rpm) or any of the higher gears is bad for the engine and the clutch. Search 'lugging the engine' and you will see why. That may have cause it your issue if it's the clutch slipping. Last edited by MiamiBourne; 02-10-2019 at 11:06 AM. Going WOT in 6th gear or any of the higher gears is bad for the engine and the clutch. Search 'lugging the engine' and you will see why. That may have cause it your issue if it's the clutch slipping. Lugging the engine and going WOT are two different things. WOT at a low rpm in higher gear “lugging” yes bad. WOT running through the gears not bad necessarily. Yes, my bad. I meant to add at low rpm in the higher gearing. Seem like SB Stage 3 Daily with a pulley is the best set up for a daily/tuned situation? Let’s think this through logically. When would you ever be in 6th but not low rpm? Like 150ish? So...almost never. That’s the problem 85% of our country is of low intelligence. You can’t apply logic when this is the case. I bet you would be surprised how many people go to 6th gear at 40 and floor it rather than down shift when they need to accelerate. OP not saying your part of the 85%. Thanks again for all the responses. For the record, I never "lug" the engine - in 6th gear or otherwise. This problem happens past the 3-3.5K+ RPM range, so if it is a slipping clutch, it's not likely to have been caused by lugging the engine. 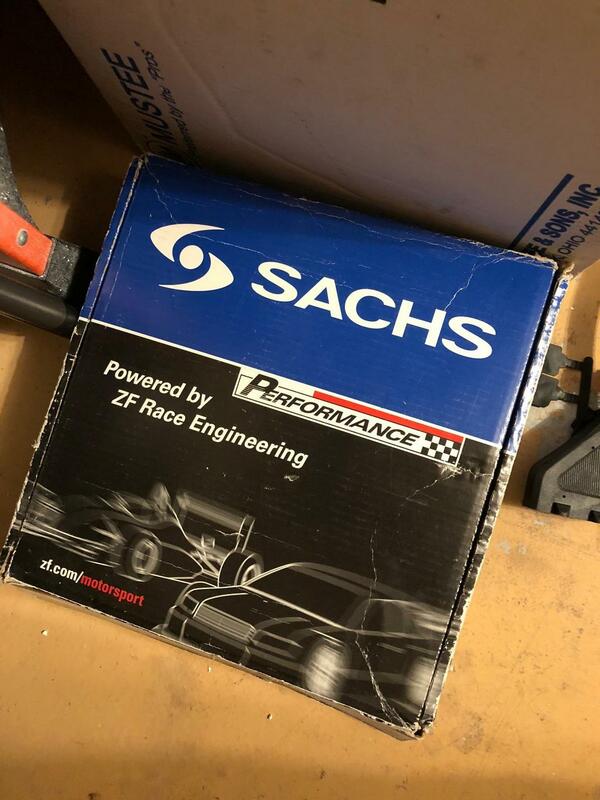 I *believe* the kit the prior owner installed was the following: https://www.ecstuning.com/b-sachs-pe...089.000126~sa/. I remember him saying it should be good well past stage 2 and preferring a single mass over dual mass flywheel. 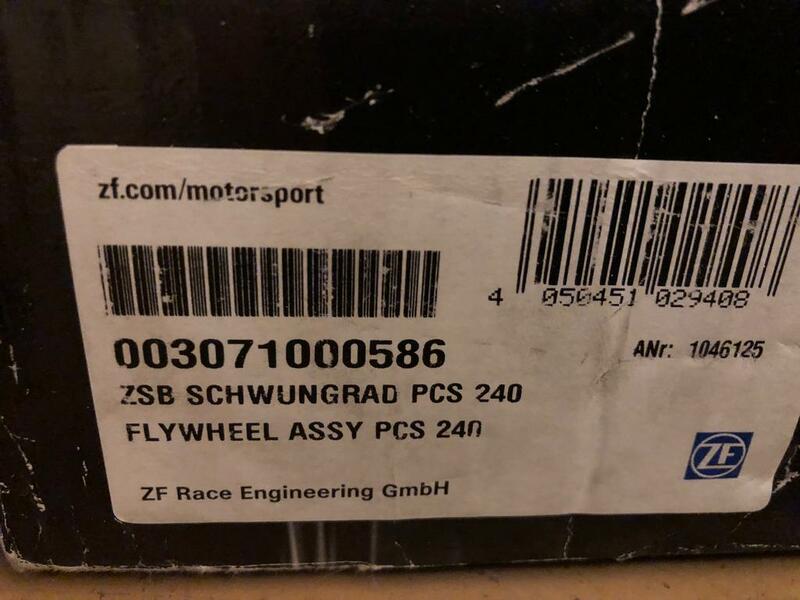 EDIT: Link updated for correct clutch kit. Last edited by MaDMvD; 02-10-2019 at 06:41 PM. If it's that Sachs kit, it's a sintered racing clutch, and engagement from a stop would be really on/off and hard to engage smoothly. I think at 80mph the 2016 mt's sit at around 3k rpm? That is a perfectly reasonable rpm to accelerate from, regardless of gear. If the clutch isn't holding in that circumstance, then it's simply too weak for the power output. Get a stronger clutch with some decent overhead I guess. It's kind of ridiculous that people here are talking like it's normal to expect to have to treat a clutch like it's made of glass, or that you're "lugging" the engine at 3k rpm. Clutch options for this gen are somewhat disappointing. Last edited by McJaggleToes; 02-10-2019 at 08:49 PM. I agree on all fronts. I suppose I'm still in denial that popular opinion seems to be a slipping clutch. Assuming it is the culprit, it's otherwise perfect/holds all other gears and never smells burnt, so I guess I'll just take it easy on 6th. What is the tach doing when all this is going on? If the clutch is slipping you should see the rpms climb with no (or little) speed change. I'd be curious to know if the issue persists on warmer days. I agree. DSG here so no skin in the game but is there no puck options unless you go completely custom? I had a 4 puck button sprung in my STi and that thing just grabbed. Had a very stiff travel so had to keep it in neutral a lot but in the end, was worth it every time you banged into the next gear. Clutch slipping. Regardless what you think it is. I had southbend Stage 2 endurance clutch same symptoms. Perfect on gears 1-4 holds great however WOT on 5-6 would get sputtering just described. 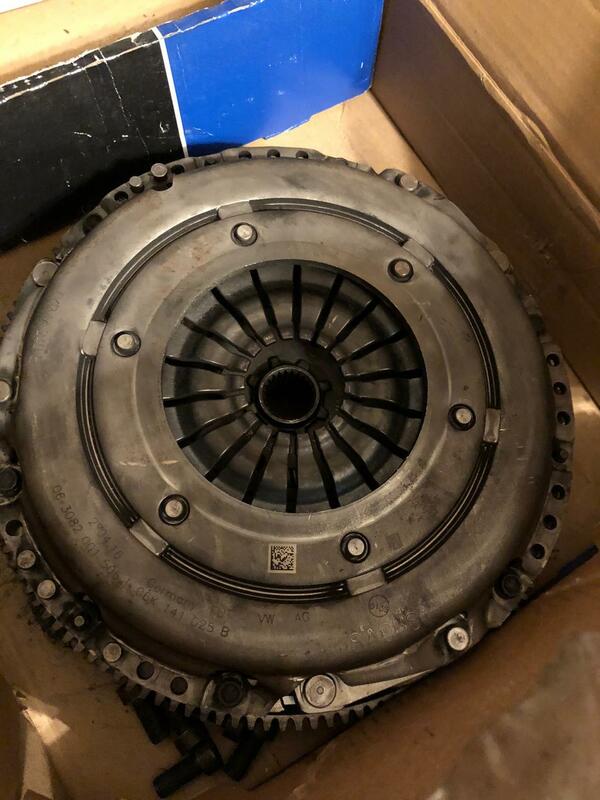 I was shocked and I didn’t want to believe that it was my clutch but few more miles down the road 4th gear would start randomly giving me the same issue. I wonder if it was installed correctly.